 Working with Blue Sheep, Liverpool Victoria (LV=), dramatically improved acquisition and response rates from its marketing campaigns. 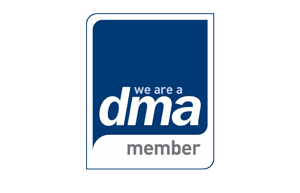 LV= set out to source and implement a multi-channel marketing solution to provide a more targeted approach to their direct marketing. The chosen solution was a Single Customer View by Blue Sheep, complemented by marketing analytics and campaign management tools from sister company, BlueVenn. 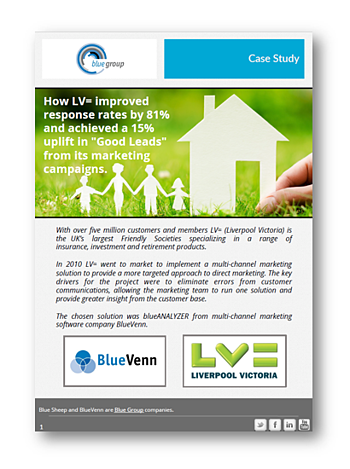 To find our how Blue Sheep helped LV= achieved maximum ROI in just three years (and achieved a significant uplift in response rates and 'good leads'), please complete the form to download our case study.